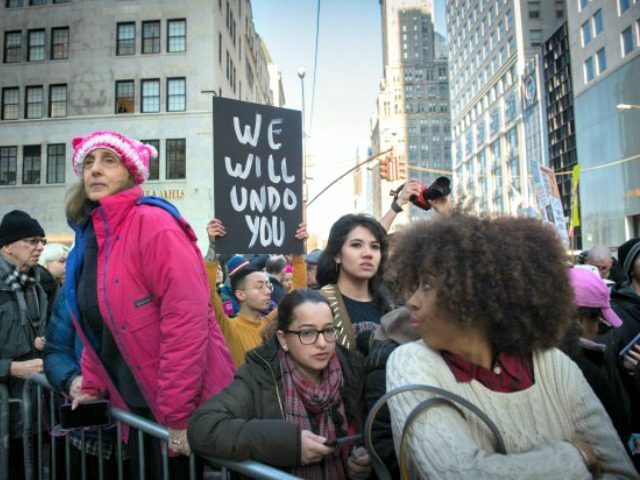 The Women’s March – the same Soros-backed leftist protest group that marched to resist the duly elected President Donald Trump and pushed the anti-gun March for Our Lives – is jumping on the open borders movement in protests planned for Thursday and Saturday in Washington, D.C., and across the country. “We will take escalated action in D.C. on June 28th demanding lawmakers and federal officials do everything in their power to #EndFamilyDetention,” the Facebook page states. “On Saturday, June 30, we will rise up in cities across the nation to say #FamiliesBelongTogether in freedom, not in cages. We cannot allow these atrocities to go unchallenged. The time to ACT is NOW,” the Women’s March Facebook page states. By agreeing to risk arrest, you are committing to engage in a nonviolent act of civil disobedience. Civil disobedience is a key tactic used to draw attention to unjust laws, nonviolently resist, and make movements’ demands impossible to ignore. A link also is provided to a website that is called “Beautiful Trouble: A Toolbox for the Revolution,” which lists left-wing groups as partners, including The Other 98 Percent and Code Pink. Pro-Palestinian and anti-semite Linda Sarsour told the Hill that President Donald Trump’s halt of family separation for parents who broke the law by crossing the border illegally and chose to bring their children will not stop the protests. The national organizers behind the Families Belong Together events are the National Domestic Workers Alliance, the Leadership Conference on Civil Rights, the ACLU, the Women’s March, and MoveOn.